This is, perhaps, the most commonly grown hosta with splashed variegation. It was registered by Mildred Seaver of Massachusetts in 1999 as a seedling of with H. 'Sieboldiana' background. 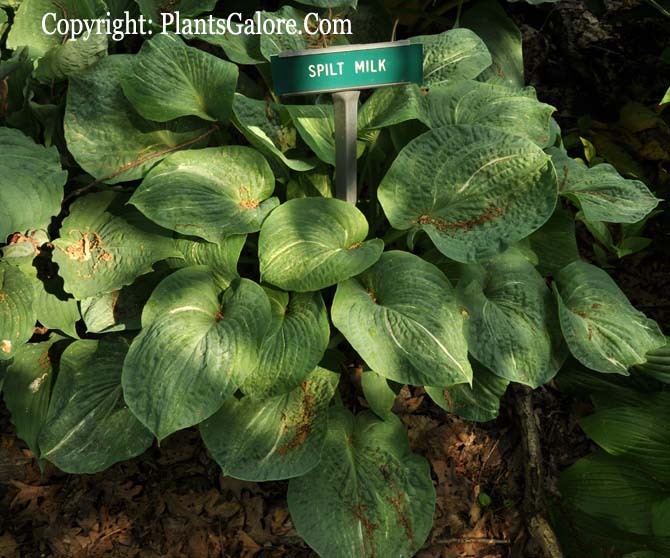 The plant forms a large size (24 inches high by 36 inches wide) mound of broadly ovate, wavy, moderately corrugated foliage with thick substance. It bears near white flowers in very late June into July. According to The Hostapedia by Mark Zilis (2009), this cultivar "...rates as one of Mildred Seaver's greatest introductions and has been very popular amongst collectors, gardeners and nurserymen alike...The variegation varies a bit from plant to plant, some exhibiting a bit more misting, others developing large white streaks." The New Encyclopedia of Hostas by Diana Grenfell (2009) states in its Hosta Hybrids for Connoisseurs chapter: "Very slow to increase. Although this once-rare hosta is now readily available through micropropagation, plants produced by this method vary considerably. 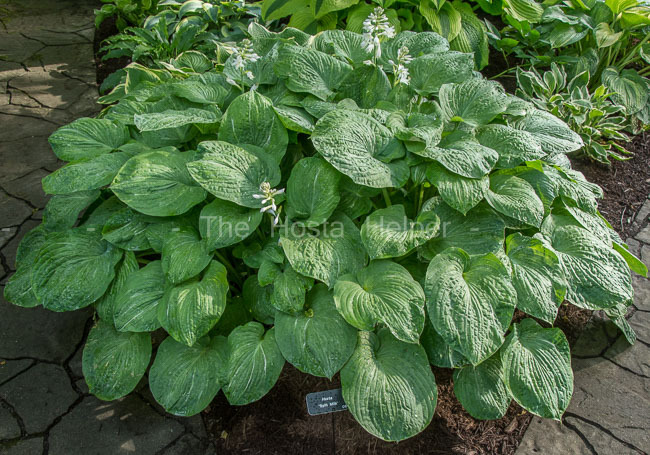 It is therefore worth seeking out originator stock to acquire a specimen which is identical to the first introduction...The flecking, misting, and streaking are stable, making this hosta instantly recognizable." This cultivar was voted No. 17 in the 2008 Popularity Poll by members of The American Hosta Society.